It was late September of 2016 and this very thought made Pawan to do something out of the box and explore the options he could. The youngest brother in the family had to support his family due to financial issues with them at that time. Which made him to explore options to earn some money online or from home to support his family. In this goose chase, he came across multiple options to spend their time with, but nothing felt convincing to him. In the process one day, he topped up his cellular network with lean internet pack and began creating videos for a channel focused on art and crafts work. This is how "ArtKala" came into existence on 25th September, 2016. When ideas are great and motivations are high, once can turn the world around it. Pawan & her two elder sisters namely Puja & Sneha started the channel as they had a knack for craftsmanship hidden underneath and hunger to do something to support family. In the meantime, Pawan, who is currently planning to appear in senior secondary exam, came across videos, which explained the underlying revenue model followed by YouTube. This made him move ahead with what he had started already through "ArtKala". He mentions about the hardships and voices he had to face from his loved ones. The first month revenue he received was very meager (INR 400). This might make someone to call it a day, but not for Pawan. They decided to stick on what they were best at and move ahead from good to great. They started creating more content over YouTube. This helped to gain enormous subscribers to their YouTube channel named "ArtKala". Talking about the growth, Pawan mentions that the growth was so frequent that they couldn't believe and they surpassed some big existing names over YouTube. The revenue scaled up multiple folds from $8 of first month. Currently, ArtKala has above 1.2 Million Subscribers and 20 crore viewership which is scaling up. 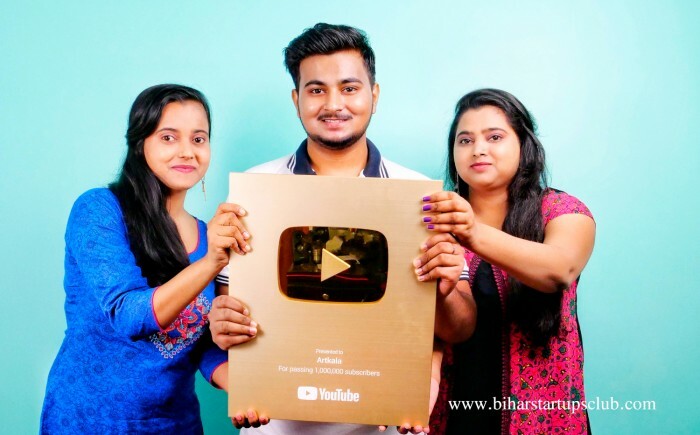 They were honored by YouTube recently on surpassing the 10 Lakh subscriber milestone and have received the "YouTube Gold Play Button" award from YouTube. 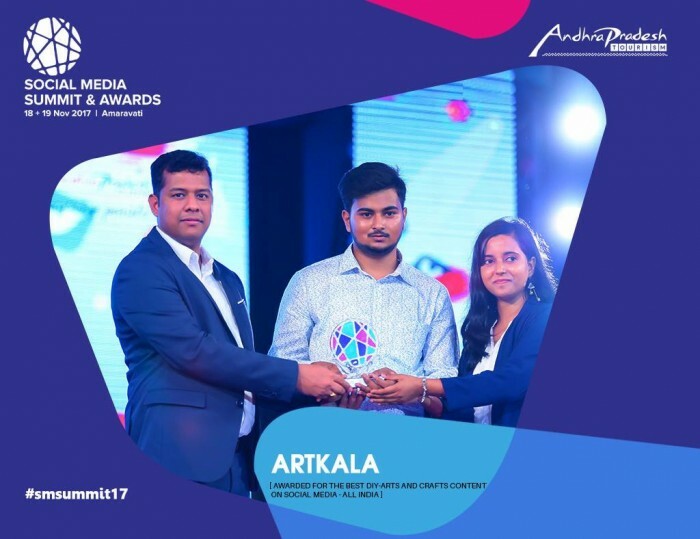 Government of Anadhra Pradesh also awarded them recently in SOCIAL MEDIA SUMMIT & AWARDS held in nov 2017 at Amravati for the BEST DIY-ARTS & CRAFTS CONTENT ON SOCIAL MEDIA- ALL INDIA . The recent overhaul caused due to policy changes from YouTube affected their scale-up journey. To cater to this situation, they started producing more content in order to maintain the growth ratio. Talking about future plans, Pawan mentions that they are getting requests from across the globe for DIY kits, ready to use craft products etc. They are planning to take it to the nest level and start an e-commerce portal where they would showcase and sell their products as well in the form of DIY Kits. They are also getting offers from big names such as Buzzfeed etc. for content creation and outreach. Bihar Startup Club was delighted to find such hidden talent and host him recently and is ready to offer him all required resources for his entrepreneurial journey ahead. We are proud to have India's largest DIY Youtube channel and content creators from the soil of Bihar.